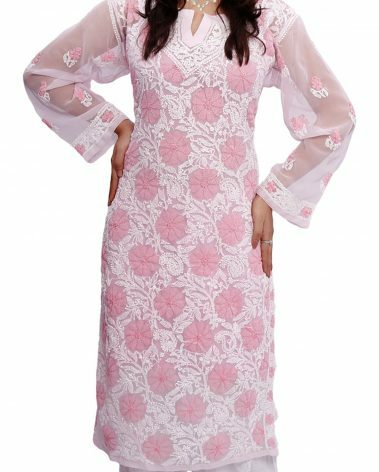 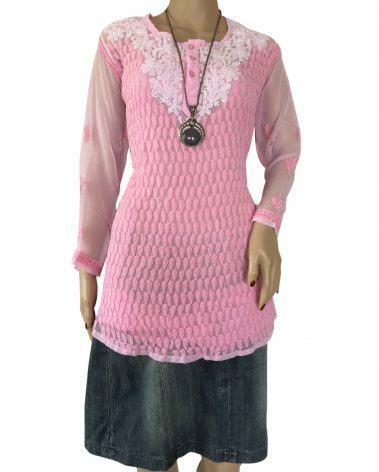 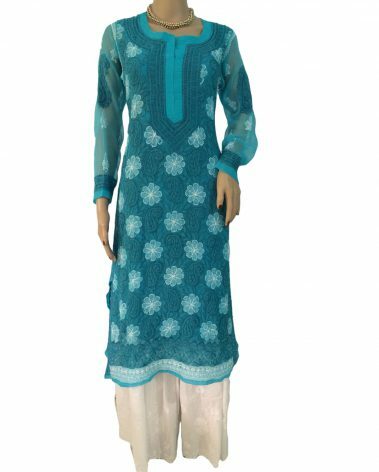 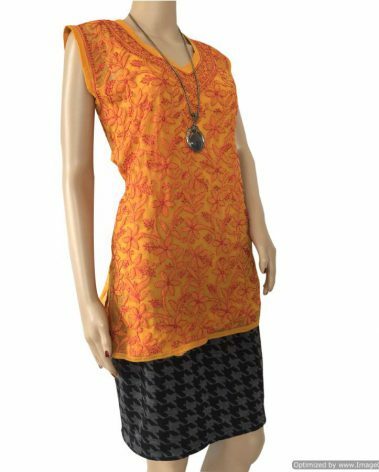 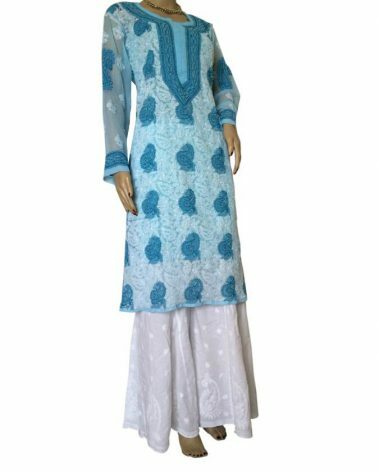 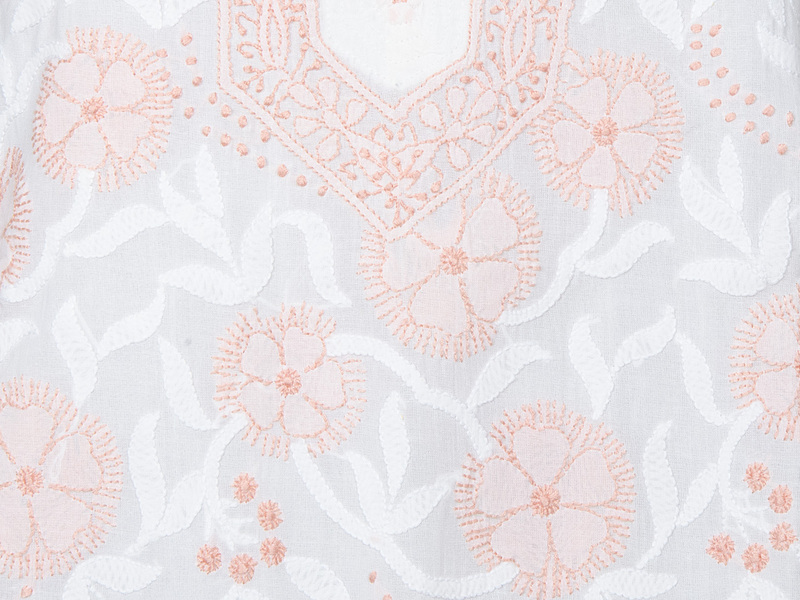 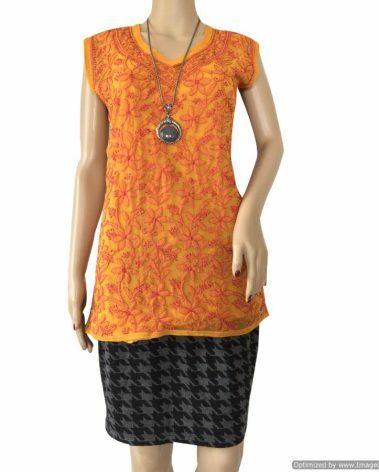 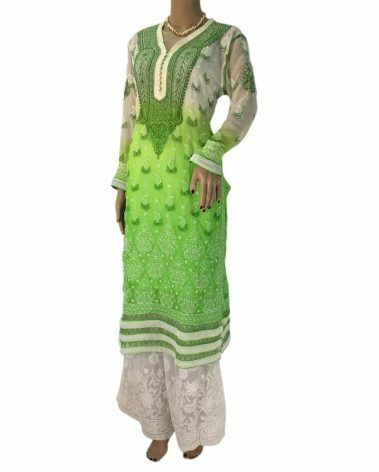 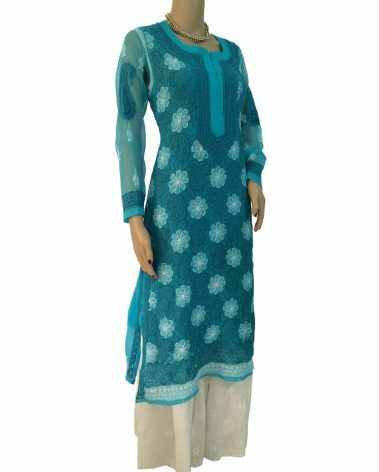 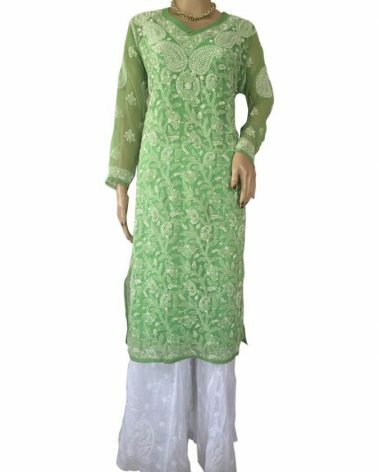 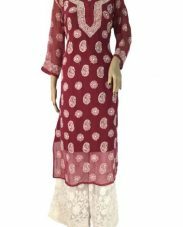 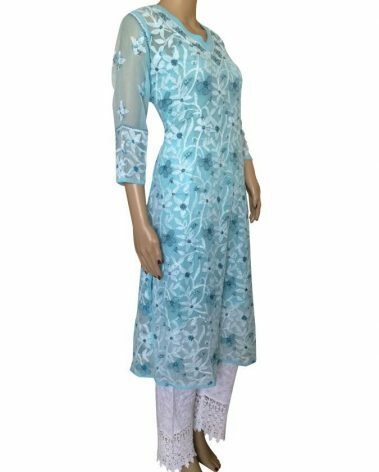 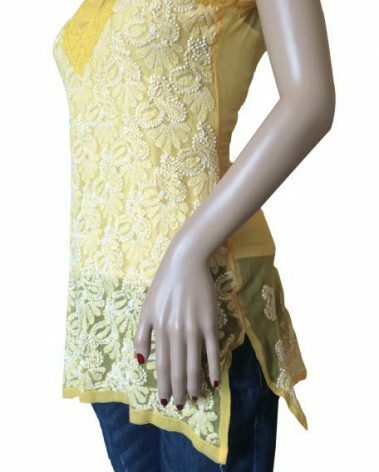 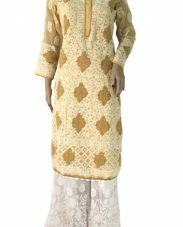 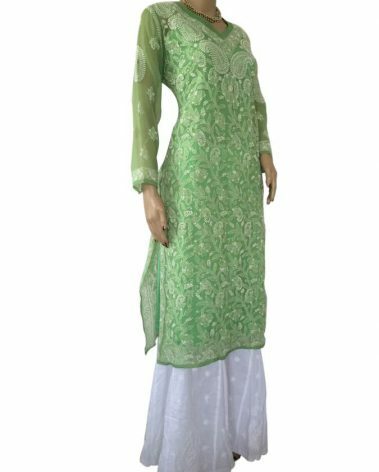 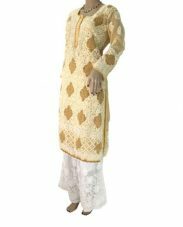 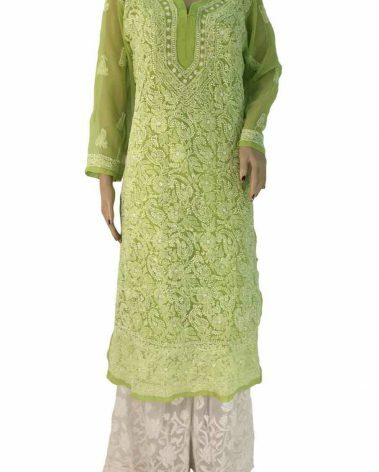 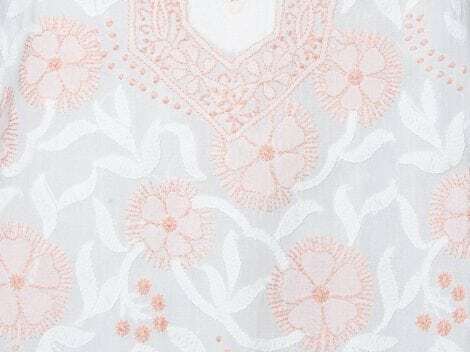 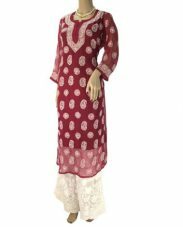 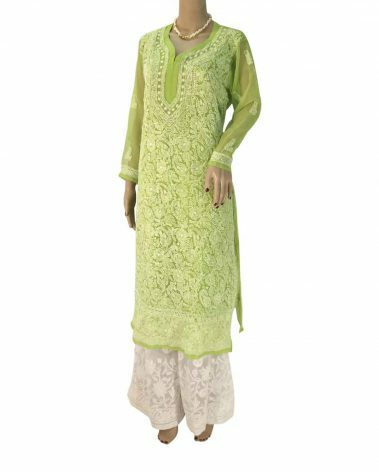 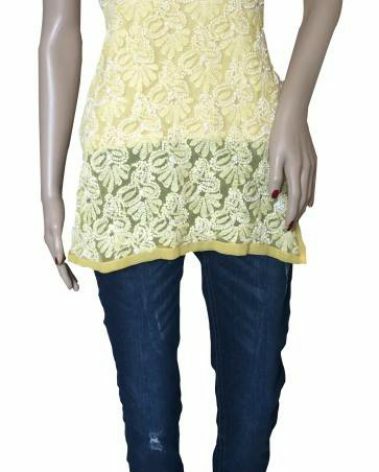 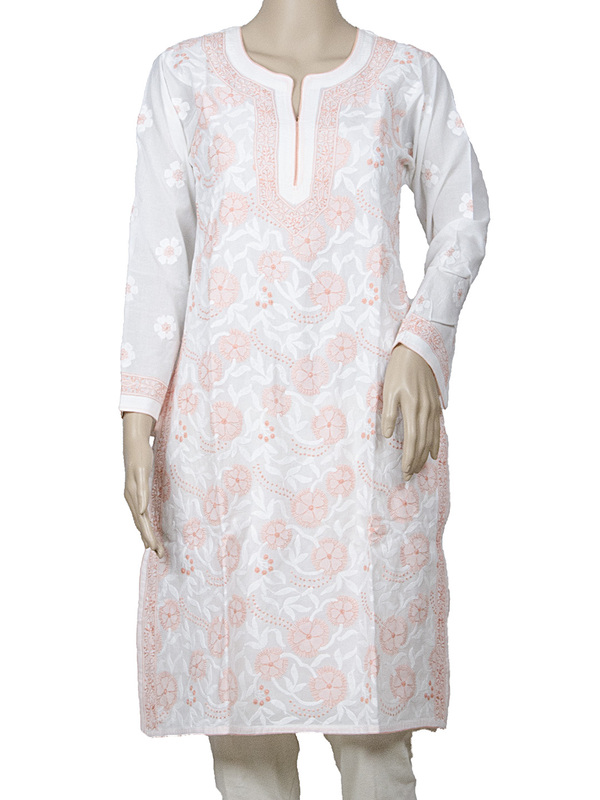 Elegant Cream and peach knee length Chikankari kurta in cotton. 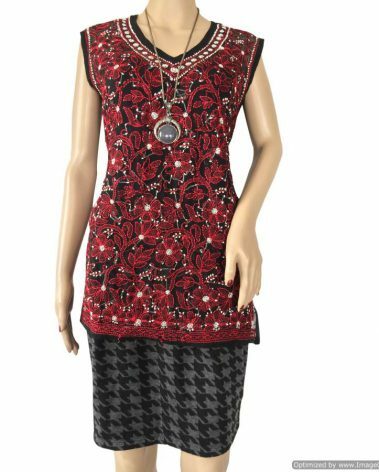 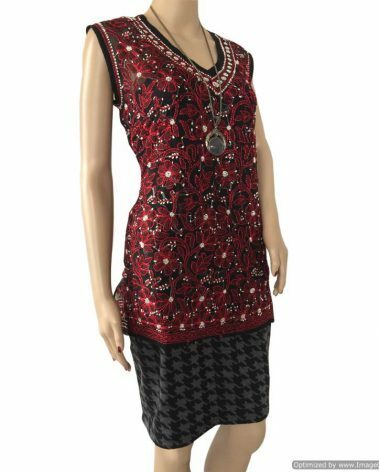 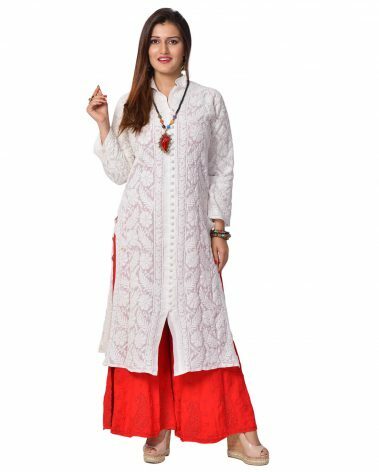 Paired best with a peach bottom and dupatta. 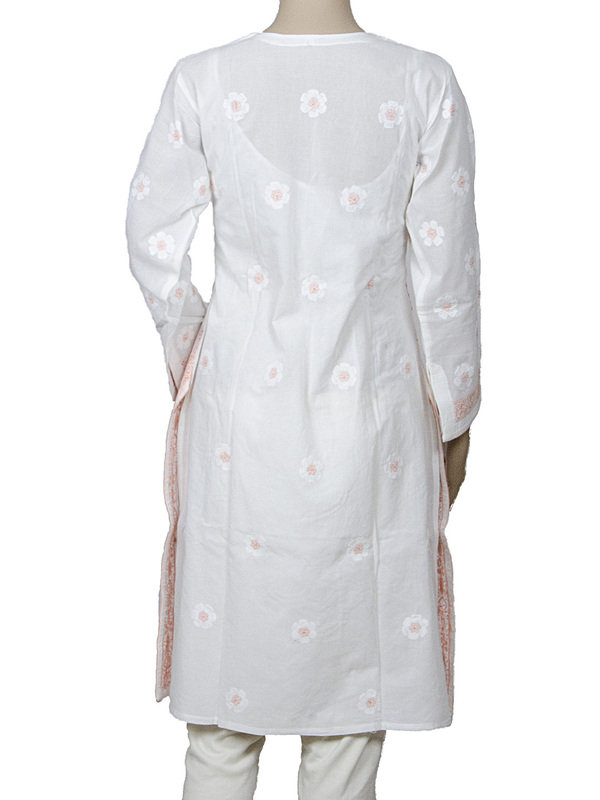 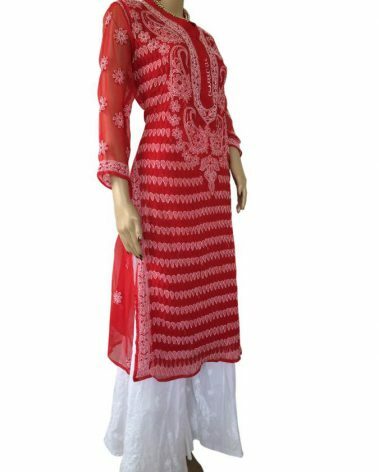 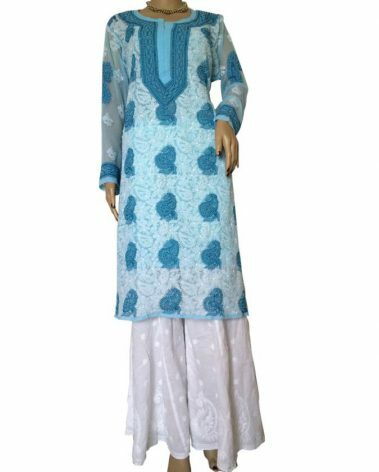 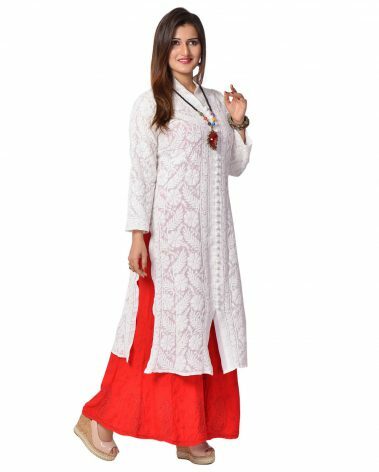 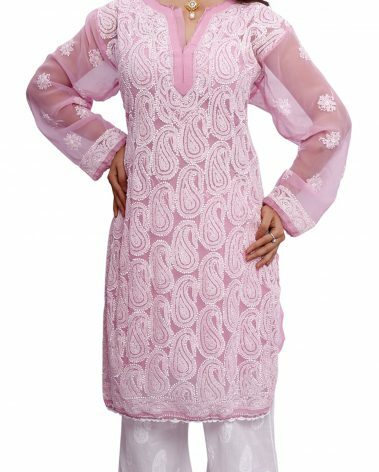 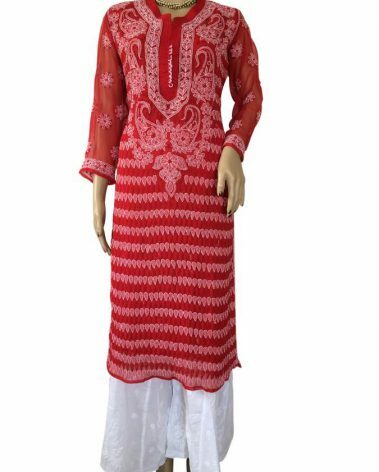 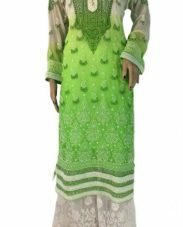 Elegant White colored Cotton Kurta with work in peach & white.